Happy birthday Belle. Princessess having a party for Belle. 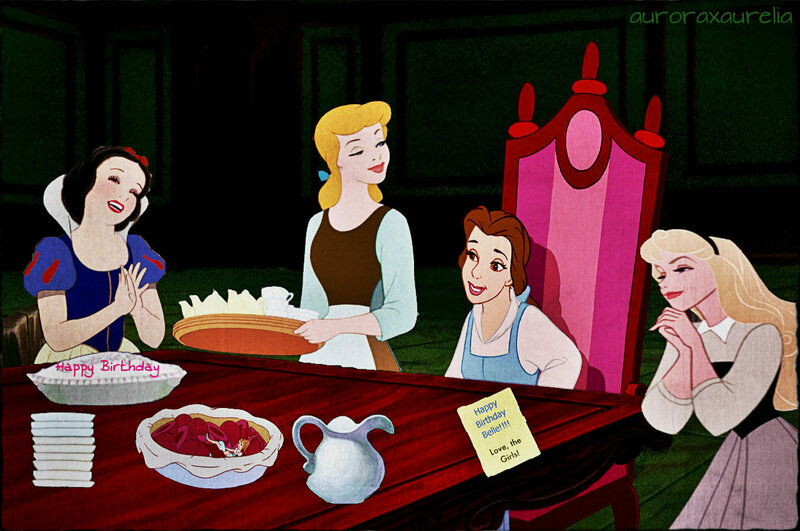 Cake is over rated so Snow White baked two of her famous pies. Thumbelina went over to try some and got more than she planned.. HD Wallpaper and background images in the disney crossover club tagged: disney crossover princess belle aurora cinderella snow white thumbelina 20th century fox.